When Christian Sockel took his first volunteer position with Middle States in 1997, he wasn’t sure what to expect. He certainly never expected it would evolve into this. Eighteen years later and now President of USTA Middle States, Sockel is leading the Middle States Board of Directors through the 2015-16 term. Having served the past two years as Sr. Vice President, his aim is to continue guiding the Section on its current path while searching for new, creative ways to expand Middle States and grow the game of tennis. Sockel’s involvement with the sport began early, when as a high school freshman in Reading, Pa., he decided to drop basketball and focus on tennis. It was the right choice, and he went on to win various singles and doubles titles before wrapping up a highly-successful high school career and continuing his play at Ursinus College. While he had countless wins and experiences in competition during that time, Sockel continues to go back to his tennis motto. Sockel’s background in and outside of tennis will certainly assist him in his role as Section President. After graduating from Ursinus College, Sockel moved on to The John Marshall Law School in Chicago. There, he joined a USTA 4.5 men’s League team and began learning what the organization is all about. Years later, back in Pa., Sockel began volunteering for The Legends of Tennis event in Reading, Pa., and stayed involved as the Chair of the event for nearly a decade. During that time, he also heard about an opportunity to serve USTA Middle States as Vice Chair of the then Volunteer Management Committee. 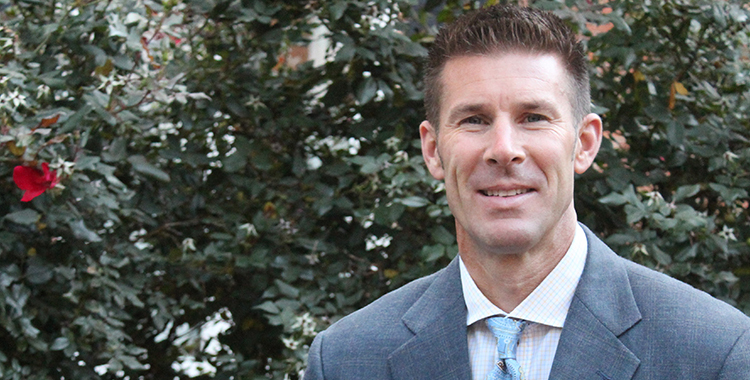 Sockel’s professional experience ranges from time in the legal field as a lawyer, and now currently as the Assistant Headmaster for Advancement at The Hill School in Pottstown, Pa. An avid triathlete now residing in Wyomissing, Pa., he plays tennis three times per week and jumps at any opportunity to get on the court. He and his wife Jennifer have played 8.0 mixed doubles together and Sockel has been to USTA League National Championships twice with his 4.5 men’s teams. Their daughters, 9 and 11 years old, are also starting to play.